Consider rigging a flip line across the bottom of your boat. Rig grab lines around the perimeter or at least along the straight sides of your boat. Dress yourself and your crew for a long, cold swim. A big essential: Use brightly colored high-float lifejackets with at least 22 pounds of buoyancy! High-float jackets stand a much better chance of bringing swimmers to the surface of foamy, aerated, turbulent water. No low-float jackets! Even if you are familiar with a run at lower flows, consider re-training on high flows before taking clients or friends on high–water runs. Holes and lines which are runnable at moderate flows may become too dangerous, while new safer routes—sometimes along the sides, sometimes down the middle—often open up. Keep your boat right side up and keep your people in the boat. Give extra thorough safety talks and in-boat training. Because mishaps and the resultant pandemonium can occur anytime, including the instant you leave the put-in eddy, take extra time at put in to review with your crew how to paddle well, stay in the boat, dig through holes, avoid entanglement (keep lines coiled, etc. ), and, if swimming, avoid and cope with holes and strainers. More on this below. Err on the side of caution. Look far ahead and start early to miss obstacles, which come at you much, much faster in high water. To keep swims short, tighten spacing between boats, often down to between two and five boat lengths. Perhaps the biggest risk of high water is having swimmers flush away downstream to drown in a succession of big holes and violent turbulence that can extend for miles. To prevent this, maintain a downstream safety net by placing either the strongest crews and guides (possibly with oar/paddle rigs) or dedicated safety boats (such as kayaks and/or big cats) in lead positions. Consider asking one or more of your crew to be spotters for (i.e., to keep a continuous eye on) swimmers in one direction, if you are forced to focus first on rescuing swimmers in another direction. Note: It is a good idea to talk about these scenarios early on with your crews, so they know what a spotter is, know what to do if thrown a toss bag, etc. One of the mental resets required by high water is to stop thinking of the banks as representing safety. When high flows race through trees and brush on either bank, the banks are no longer a refuge, but are super dangerous. Thus, when the banks are lined with strainers, stopping may require that you bide your time out in mid river, wait, and with careful timing start early to develop momentum into the next big eddy. With extra thoroughness teach crews what to do if they find themselves in the water: Keep feet up and do not try to stand up in water over knee-deep–-entrapment can happen in high as well as low water. And, above all, emphasize the mindset of self rescue. Especially those having to do with swimmers, someone missing and river emergencies. See pages 107 to 139 of The Guide’s Guide Augmented: Reflections on Guiding Professional River Trips. William McGinnis wrote: Whitewater Rafting, The Guide’s Guide Augmented: Reflections on Guiding Professional River Trips, Whitewater: A Thriller, Disaster on the Clearwater: Rafting Beyond the Limit, etc. See WilliamMcGinnis.com. Bill can be reached at: bill@whitewatervoyages.com. Born and raised in Richmond, California, Bill McGinnis started training as a river guide at age 16 with one of California's first river rafting outfitters. 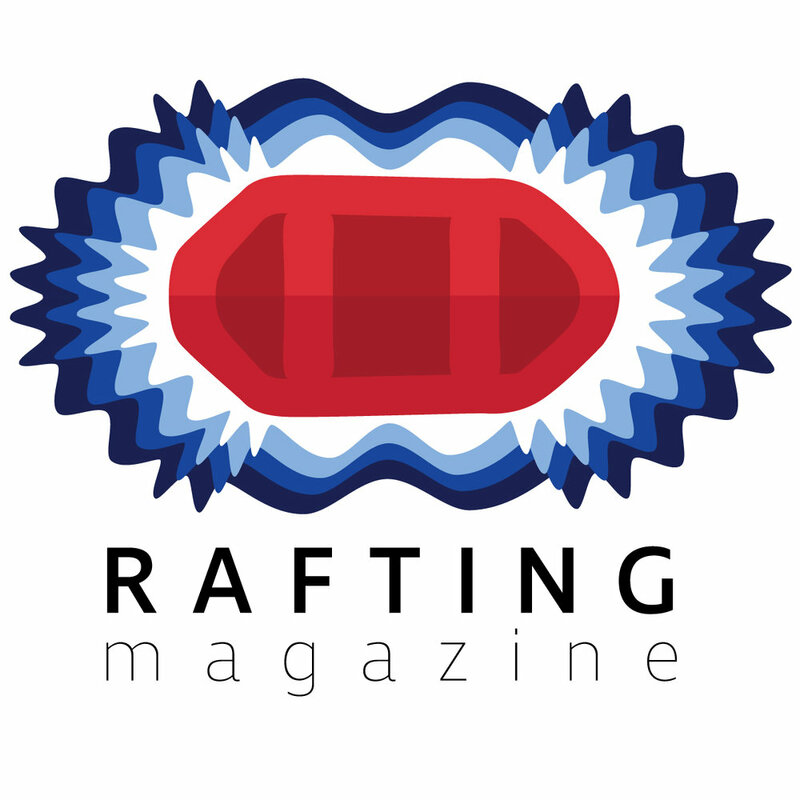 After earning a Masters degree in English Literature from San Francisco State University, Bill founded Whitewater Voyages in 1975 with two rafts and a $500 gift from his grandmother. 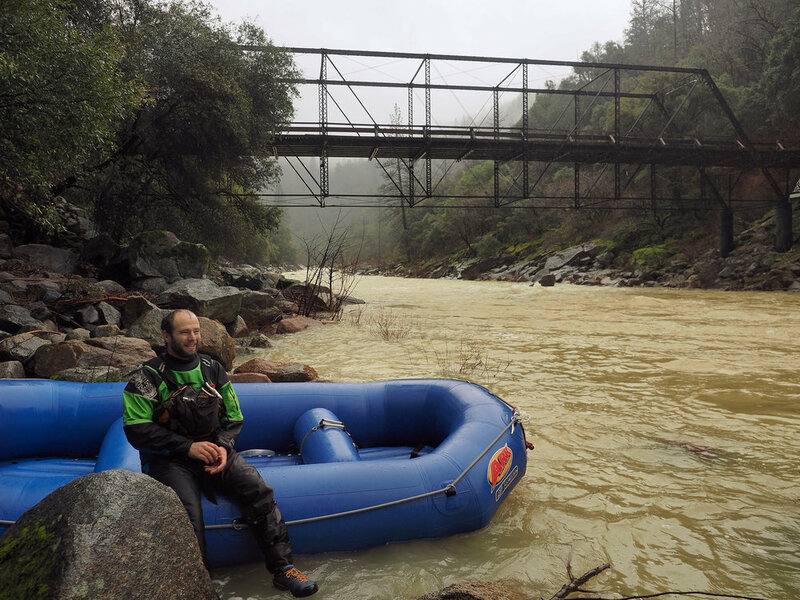 One of the true pioneers of white water rafting, Bill has successfully built his company, Whitewater Voyages, to be the largest California rafting company guiding more people on more trips in California than any other California rafting company. An internationally known mentor for guides, outfitters and whitewater enthusiasts of all sorts, Bill has written numerous books and articles about rafting, including the novel Kern River, Whitewater Rafting, The Class V Briefing, River Signals and The Guide's Guide Augmented, which are used in the Whitewater Voyages guide training program as well as by guides and outfitters throughout the world.